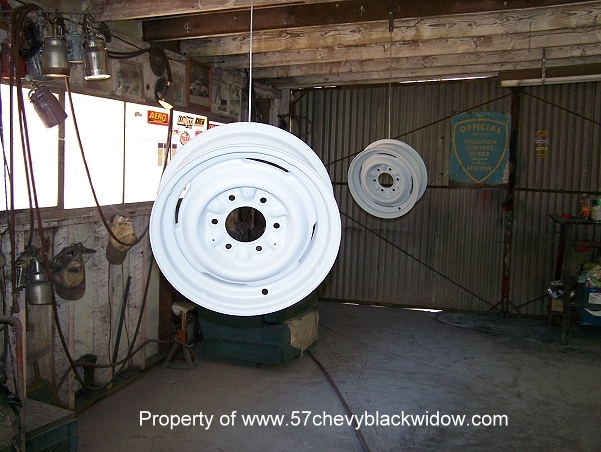 "Old Guy Scott" says it would be nice to powder coat the wheels, except there was no powder coating fifty one years ago. 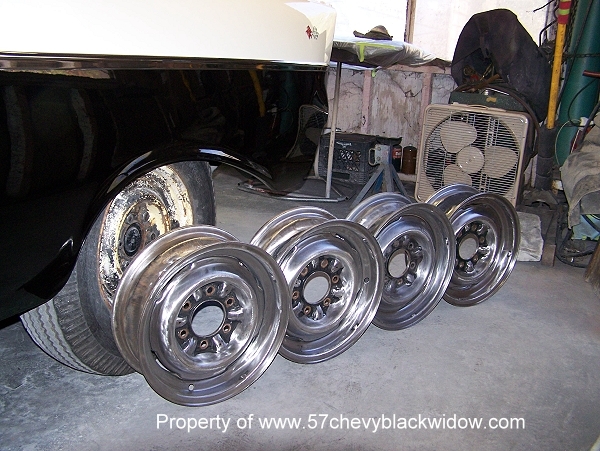 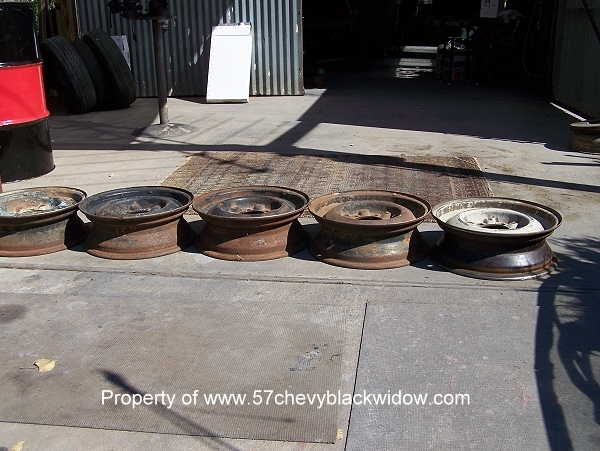 You see them sanded to bare metal in photo #409 and in #410 they are polyester primed. 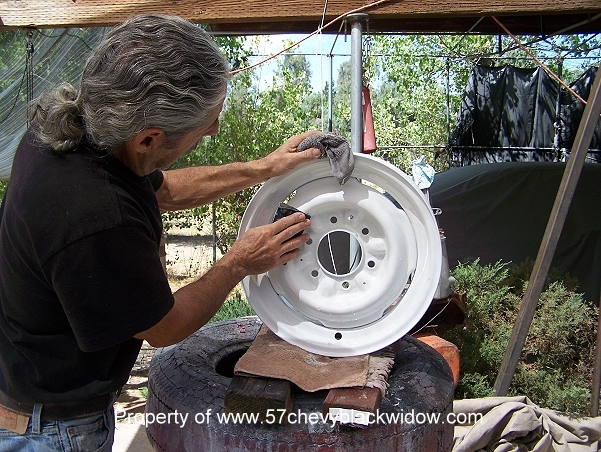 Photo # 411 shows "Old Guy Scott" dry sanding the polyester and #412 is wet sanding after the first paint applications. 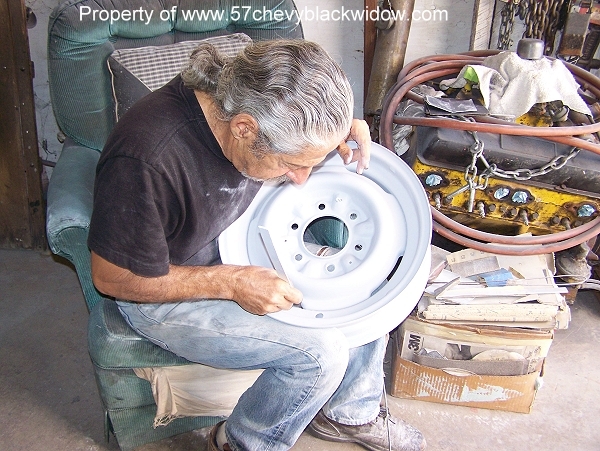 "Old Guy Scott" says it takes lots of practice to paint wheels, take your time to apply the paint. 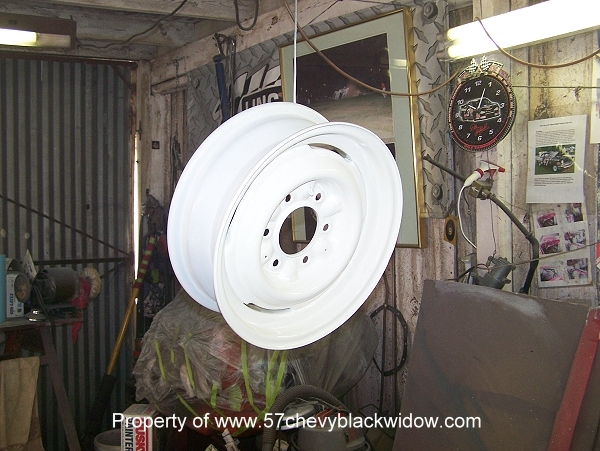 Photo #4 414 is the final result and is perfectly done. 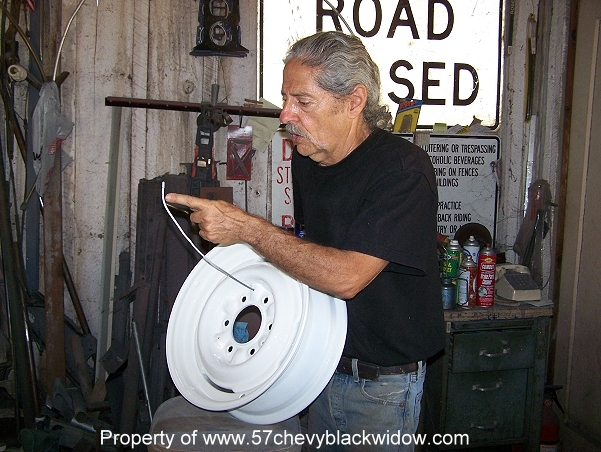 Photo #413 shows how "Old Guy Scott" hangs the wheel, a crimp at the end of a heavy wire keeps it from pulling thru the clip hole.